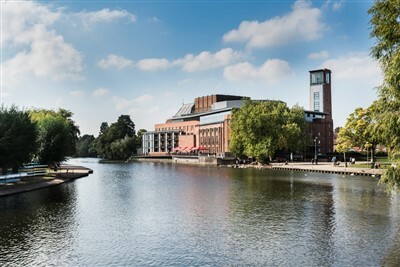 Situated on Waterside, alongside the River Avon, enjoy a behind the scenes tour of the 1,018-seat Royal Shakespeare Theatre. A Grade II listed building which retains many of the art deco features of the 1932 Shakespeare Memorial Theatre, it re-opened in November 2010 after a three-year transformation project. The "Behind the Scenes" Guided tour explores the public and private areas of the theatre. Discover the origins of the RSC, explore a production in more depth and learn about the theatre making process. After the tour enjoy an afternoon tea consisting of a selection of savoury items, cakes, scones with clotted cream and jam all served with a selection of teas or coffee. There will be some free time in Stratford Upon Avon, before commencing your tour at the Theatre. Routes A & B - please see pick up tab for list. Royal Shakespeare Company Sara Beaumont © RSC. Behind the Scenes Lucy Barriball © RSC.